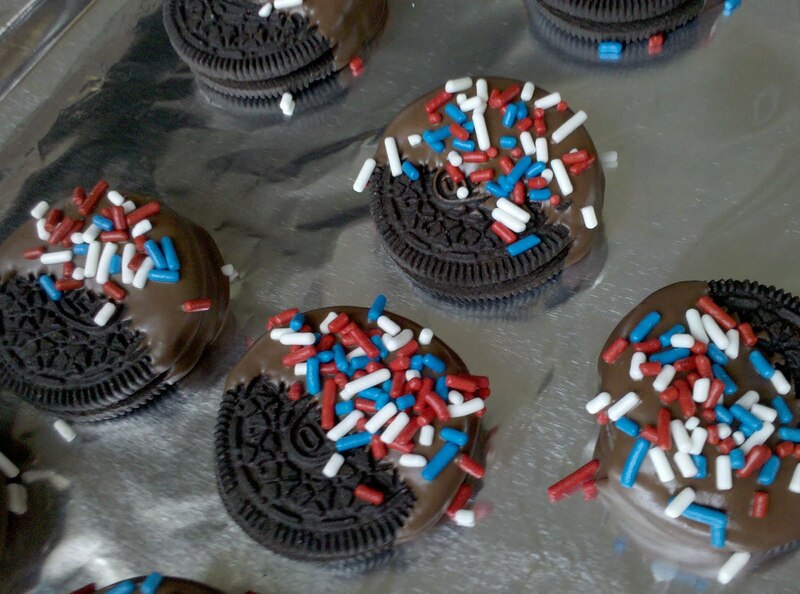 Simple, easy,and done in minutes, these 4th of July chocolate dipped Oreo cookies are sure to be a hit at your Independence Day event. And it's a great way to let the kids help with the festivities! 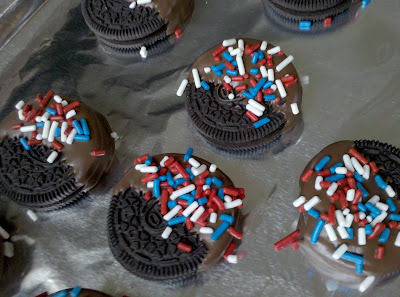 For the full tutorial, head to my original chocolate covered Oreo post. Yum! I will definitely have to make these.